Custom decks made from wood or low-maintenance composite decking. Creating one of a kind multi-level decks, pool or spa areas and balconies. Railing systems in wood, vinyl, glass, aluminum, or composite materials. Front porches , open or screened porches, and porticos. All season sunroom additions, 3-season rooms, and solariums or atriums. Flagstone or interlocking stone patios and other hardscapes like retaining walls, pathways, and firepits. One-of-a-kind outdoor kitchens, outdoor fireplaces or wood burning ovens. Shade structures, like pergolas, trellises, gazebos, and awnings. Custom fences in wood, vinyl, composite, or stone material. We deliver service and community commitment of a local, family-owned business backed by the strength of a company that’s built over 75,000 incredible outdoor structures since 1980. During your consultation, we’ll show you some past projects, discuss your needs and tastes as well as costs and your budget. We’ll explain construction material options (including new, low-maintenance wood alternatives) and measure and photograph your home/property for pricing. All our projects are protected by two separate guarantees, creating the most expansive customer protection plan in the industry. We attend to every detail from concept to completion – from securing building permits to final cleanup. 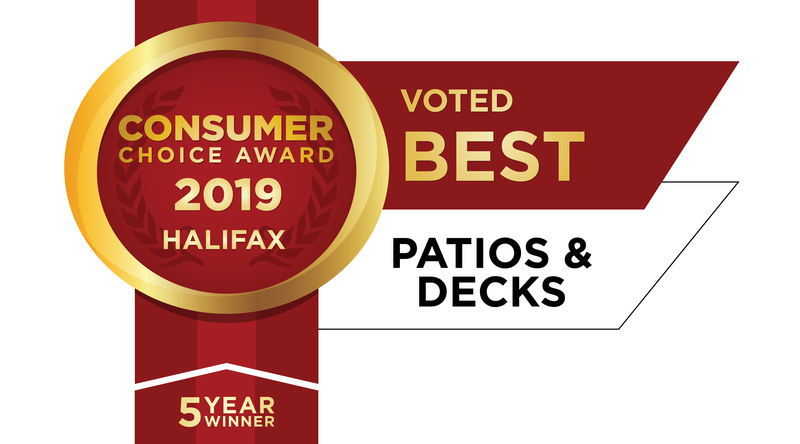 Thank you for considering Archadeck for your project and we look forward to booking your free consultation soon! Archadeck of Nova Scotia offers financing through iFinance! Click to here for more information and application forms. We are located in Halifax, Nova Scotia. We offer services to HRM and surrounding area. Great crew, great materials, great execution. It was a very good experience. Exquisite fit with the existing structure and land form. Fantastic architecture, carpentry and project management in each project we did with you. The quality and accuracy of the work. Instead of an added screened porch, I have an extension to my house that is made to look like the rest of my house. The workmanship and design is exceptional. The craftsmen were very easy to work with and addressed all our concerns. They were very adaptable to changes. This project started out as a simple hot tub enclosure and has taken on a WOW factor. It is extraordinary and far exceeds our expectations. We love the people, the creative designs, and the work and communication!! Excellent, hassle free project, timely and reasonable/ fair pricing!! High Quality!! Great experience and will recommend to others for sure.